Is that a Notre Dame hat with a Hawk logo added in? I guess I don't understand the four leaf clover. It means if you are a Hawk fan you will get lucky! Black Clover is the apparel company that made the hat. That is their logo. Ok I see. Just like with the interlocking ND I would still have to explain to people that it is not a Notre Dame hat. Although, I think one of those hawk logo bucket hats that Bubba wears would be awesome for tailgating on hot days. Most of the golf shops in Bismarck carry these. Also, on the Black Clover site. Why would anyone buy these? I'm not a billboard for you, Black Clover. Shouldn't the brand logo be smaller than the team logo? WTF? Don't tell the Mayo Clinic Lynx that. 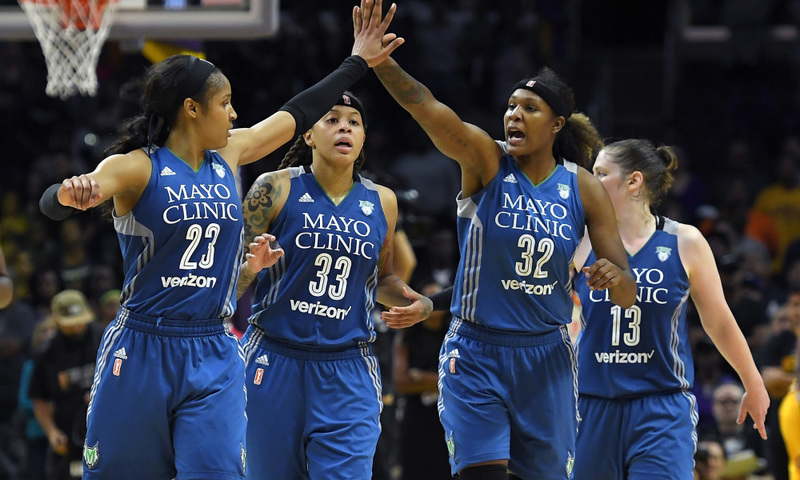 They're the Mayo Clinic-Verizon Lynx now, fs4l. LOL, thanks for catching that. Must be a golf thing. There are tons of titleist hats with team logos on the side and Titleist big on the front. It's in the leprechaun section of Scheels. Right next to the Lucky Charms. You're not kidding, are you? No Trix? I was just at sams club in grand forks. 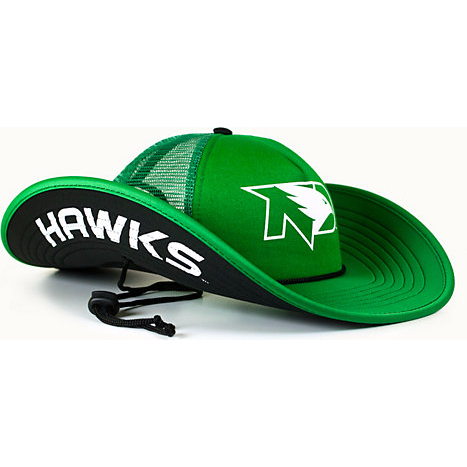 They have many different fighting hawks hats. It's hard to say it, but a couple actually looked good. Were you wearing your glasses at the time? Just my green ones! I forgot my fighting Sioux ones at home! Alrighty....who is going to be the first one sporting this trucker cowboy hat in the tailgate lot this fall?!!! You know what they call folks in the bayou who don't already own a hat like that, right? We're any fitted or just one size fits all ? Not sure. I just seen many different styles of the fronts of the hats. I had my 3 year old and 1 year old with me. Not really the best time to check out the hats. How does that prove it? 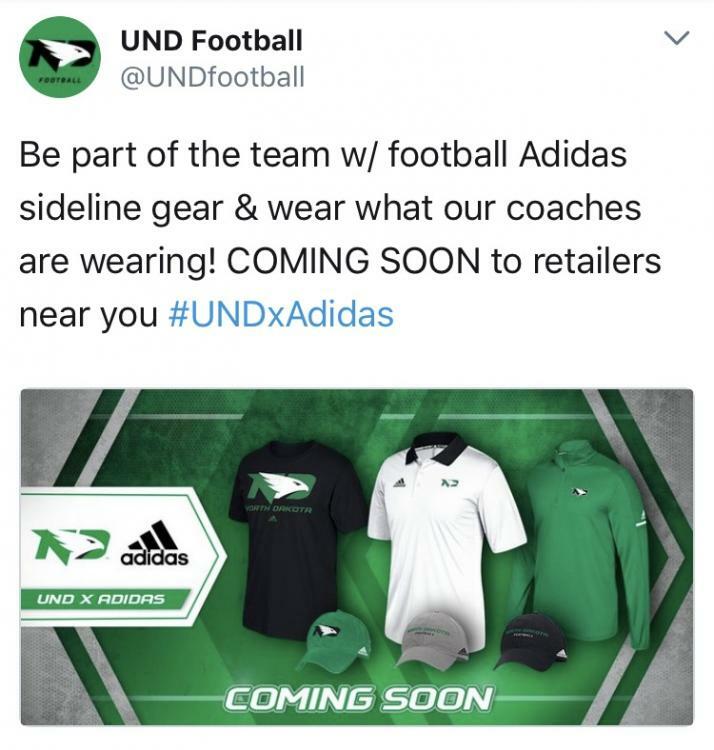 Don't get me wrong, I'm over the Sioux and support the Fighting Hawk's. If geaux says "I'm a fan of this hat" ? let him take that towel off and put on the Hawk? How does that prove it? A link proves everythin' ... donchaknow.